Family-friendly • Paid maternity and parental leave, disability  and a less-strict dress code. Photo courtesy of the LDS Church A wellness center under construction in the Church Office Building in downtown Salt Lake City. Rick Egan | The Salt Lake Tribune Employees head for home from the LDS Church Office Building on Wednesday, June 28, 2017. A new dress code will allow women to wear dress slacks and professional pantsuits while men can don light-color shirts. 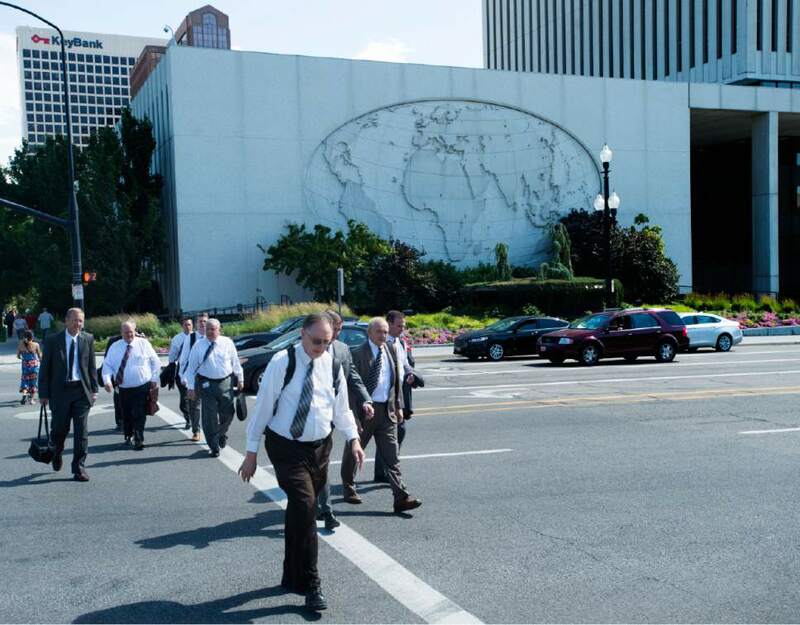 Rick Egan | The Salt Lake Tribune Employees head for home from the LDS Church Office Building on Wednesday, June 28, 2017. A new dress code will allow women to wear dress slacks and professional pantsuits while men can don light-color shirts. 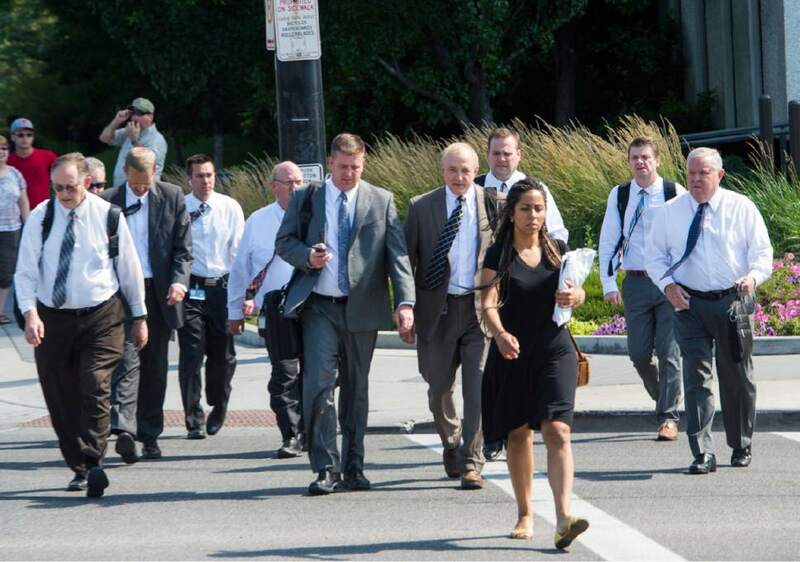 Rick Egan | The Salt Lake Tribune Employees head for home from the LDS Church Office Building on Wednesday, June 28, 2017. A new dress code will allow women to wear dress slacks and professional pantsuits while men can don light-color shirts. Photo courtesy of the LDS Church An artist's rendering of a wellness center under construction in the Church Office Building in downtown Salt Lake City. Rick Egan | The Salt Lake Tribune Employees head for home from the LDS Church Office Building on Wednesday, June 28, 2017. A new dress code will allow women to wear dress slacks and professional pantsuits while men can don light-color shirts. Like their peers, many contemporary Mormon women work side by side with men in boardrooms and courtrooms, surgical theaters and sports franchises, college labs and city halls. Such women are smart and sophisticated in their manner and their dress, overseeing multimillion-dollar projects and donning Hillary-esque power suits. And they certainly don&apos;t see having a baby as the end of their careers. Now the LDS Church is acknowledging that new reality among its Mormon employees by changing what some see as outdated policies. 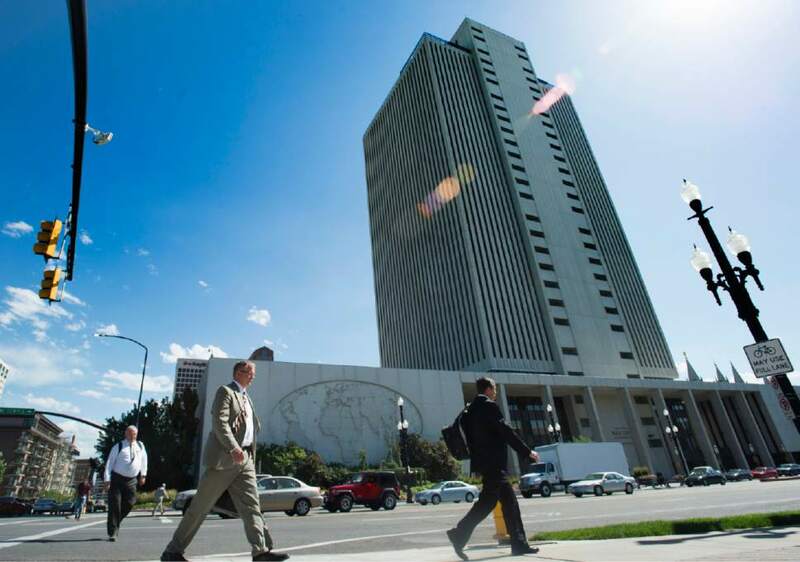 The Utah-based Church of Jesus Christ of Latter-day Saints  likely the largest employer in the Beehive State  announced Wednesday it will provide paid maternity and parental leave, as well as short-term disability benefits. It also loosened its dress code to include light-color shirts for men and dress pants for women. These changes were described in a memo from Mormon officials to tens of thousands of full-time employees at LDS Church headquarters in downtown Salt Lake City, the four church-owned colleges (Brigham Young University, BYU-Idaho, BYU-Hawaii and LDS Business College) and to paid professionals with the Church Educational System. Mormon apostle Quentin L. Cook offered this explanation for the moves. "I would hope that Latter-day Saints would be at the forefront in creating an environment in the workplace that is more receptive and accommodating," he said in a statement, "to both men and women." Going forward, full-time, benefited employees who give birth "will be eligible for six weeks of paid medical maternity leave to recover from childbirth," the policy memo reads. At the same time, workers also can take one week of "paid parental leave," the church document explains, "to bond with their new children from birth or adoption." For mothers who give birth, this means an additional week of paid leave. Until 2014, an LDS woman who gave birth  or had a child under age 18  was not allowed to teach full-time seminary classes in high schools or Institutes of Religion at colleges. 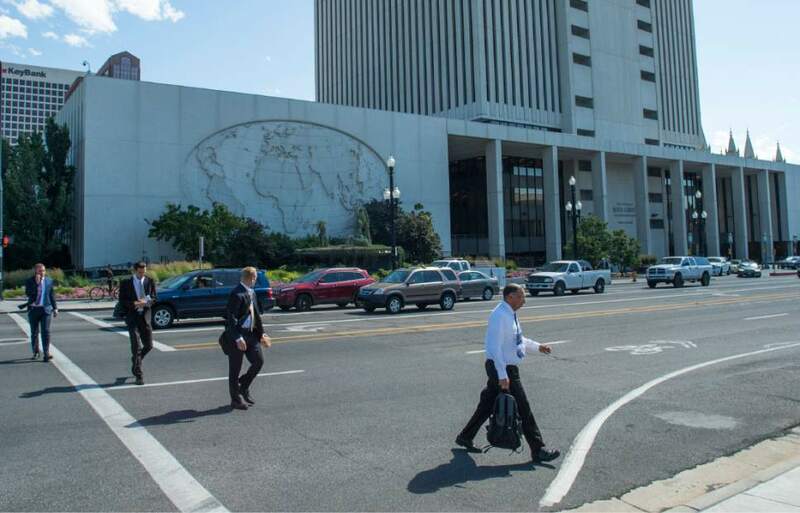 That edict ended, making it possible "for families to decide what best meets their needs as it relates to mothers working while raising children," Mormon officials said at the time. "This policy is consistent with other church departments." Now, these CES teachers and all female church employees not only can keep their jobs but also take a paid maternity leave. LDS Church workers welcomed Wednesday&apos;s news. "The new policy represents a significant step toward bringing our practices into greater alignment with our values," said one employee, who asked not to be named because he was not authorized to speak. While making plans recently for the upcoming birth of his child, the employee worried he would have to use almost all of his sick leave and vacation hours to spend as much time as possible at home with his wife and newborn. The previous standard "emphasized the value of baby-bonding time," he said, "but provided no support beyond the standard paid time off." Morgan Gardiner, operations supervisor at BYU&apos;s testing center, also applauds the expanded benefits. "It makes me feel valued as a female employee who is also a mother," Gardiner said. "The new policy is a fantastic addition to the already generous sick and vacation hours BYU employees receive." But the changes, retroactive to April 18, come too late to help her. "Since I conceived via in vitro fertilization, I used up much of my sick leave just getting pregnant," Gardiner wrote in an email. "The most I was able to save up was seven weeks&apos; worth of sick/vacation [days] to stay home with my baby. ... Those hours are now gone, and I am currently on unpaid leave." Had the new benefits been in place when her baby was born in February, she said, "I could have had a full three months of paid leave between this and my sick/vacation, plus a week for my husband since he is employed by BYU as well." That, Gardiner exclaimed, "would have been simply incredible." For most of the 20th century, few businesses or states provided maternity leave to women. There was not any sort of "federally mandated policy requiring employers to provide unpaid maternity leave in America, much less paid maternity leave or paid parental leave for both fathers and mothers," said historian Christopher Jones, who will be teaching at BYU in the fall. "Prior to that, only 12 states (plus Washington, D.C.) mandated any sort of maternity leave coverage." Benefits were "left up to employers," Jones said, "and most didn&apos;t offer maternity leave coverage, with only 40 percent of female employees having access to such coverage." That all changed in 1993, with adoption of the Family and Medical Leave Act. The law required employers to provide women and men with, among other benefits, 12 weeks of unpaid, job-protected leave  and the LDS Church complied. Spokeswoman Carri Jenkins said Wednesday the faith&apos;s flagship school has allowed full-time, benefited staff and administrative employees to tap their sick leave and personal leave for childbirth for at least the past 30 years, and then used the Family and Medical Leave Act as a guide. The new policy will affect all church employees, except BYU faculty, who already are allowed a full semester off for maternity leave. As for the new disability benefits, which kick in come late December, church employees who have been ill, injured or otherwise disabled for seven days can receive two-thirds of their salary for up to 45 days. The plan, the memo states, should offer "peace of mind." The church also is launching a wellness initiative that will include education, counseling and convenient access to exercise facilities. 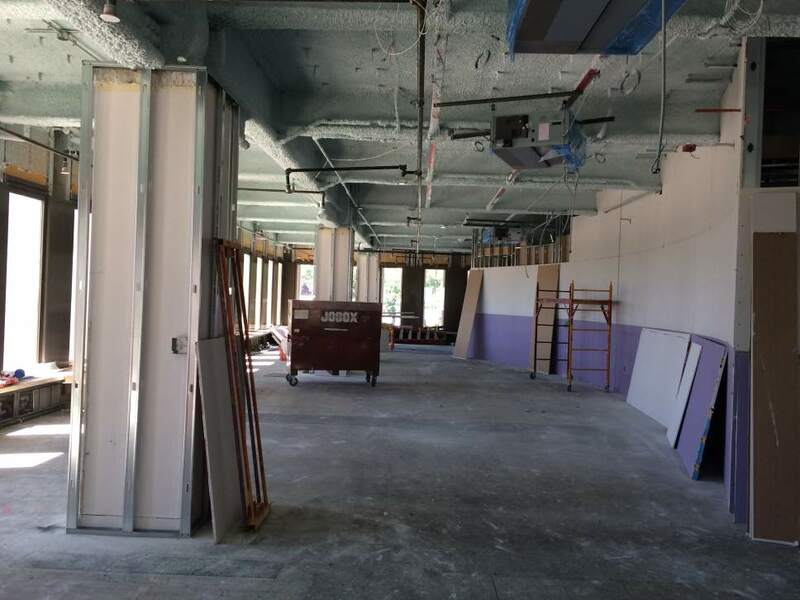 A wellness center on the seventh floor of the towering LDS Church Office Building on North Temple is under construction and expects to open in October. 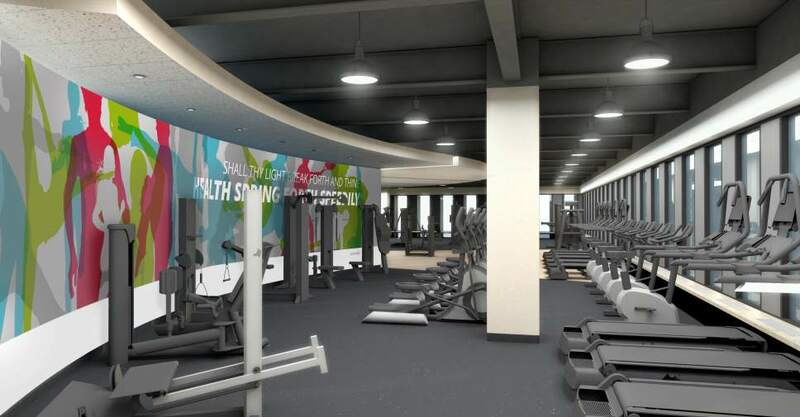 It will include cardio and weightlifting equipment, group fitness studios, exercise classes, showers, healthy vending options and on-site coaches. Besides bringing workout duds to the office, church employees also can expand their workday wardrobe. Church headquarters now will allow women to don professional pantsuits as well as the traditional skirts and dresses, and men can scrap those mandatory, missionary-looking white shirts and wear light-color ones. Ties remain a must but the brethren can remove their jackets when temperatures rise or for "movement through the building." In May 2011, the male-run church made a similar nod to the discomforts of weather, when it eliminated the pantyhose requirement for female employees at headquarters, allowing them to go barelegged. Marisa McPeck-Stringham listed the "outdated and sexist dress code policies" as among the reasons she quit working for LDS Family Services in 2013. "It was hard feeling like a professional walking into court when I wasn&apos;t allowed to wear pants," said McPeck-Stringham, who now is a social worker in Farmington. "I looked more like a sister missionary than a licensed professional." When she was a church employee, she was told to "stop asking about women being allowed to wear pants to work because it was never going to happen." Well, it did  a development that shocked her.